Unless you have missed the memo, smoking is bad for your body and overall health. This makes no exception to dental health as well. There is a good reason behind the ever growing anti-tobacco movement. There are numerous anti-smoking ads, signs and pamphlets being shared across media and billboards. If this is not enough to make you think twice before you light up a cigarette, there are the graphic images displayed on cigarette packages. Some graphics are specifically targeted at mouth related diseases and oral health. Before it gets down to the lungs, every puff of smoke passes by the lips, gums, tongue, mouth and throat. In other words, your mouth forms the first line of defense against this disease causing element. Whether you choose to smoke or chew your tobacco, the risks of oral cancer remain the same. The American Cancer Society has estimated that in 2017 around 50,000 people will be diagnosed with oropharyngeal or oral cavity cancer. An estimate 10% of people are estimate to die from these cancers. Such cancer formations are most prevalent around the tongue, tonsils, oropharynx, floor of the mouth and gums. Occasionally, the disease can also originate or spread out to the inner part of the lips, and the minor salivary glands. Unfortunately, mouth cancer is one of the hardest to discover in its early stages. For this reason the survival rate of patients is lower. Gingivitis is another name for mild gum disease. In simple terms, it is an infection that causes the gum line to swell from all the plaque that has accumulated in the pockets at the gum edge. Smoking and chewing tobacco is abusive to your gums in two ways. First, smoking causes people to have much lower levels of oxygen in their blood. High and healthy levels of oxygen are a key function to healing. The higher the levels, the faster and easier your body is able to recover from injuries and diseases. Smokers’ bodies are less able to heal infected gums. Second, smoking produces higher levels of destructive bacteria in the mouth. 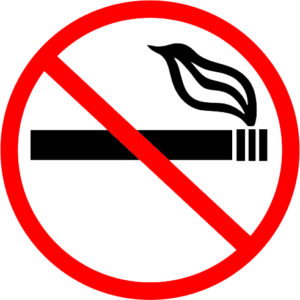 Continuous smoking puts your gums under a constant attack that speeds up the formation of plaque. Considering the first two diseases that tobacco can cause, cavities all of a sudden do not sound so scary. Bearing in mind the increased plaque and gum problems that smoking offers, tooth decay does not sound shocking at all. Did you know that smoking causes approximately 4,000 different chemicals to pass through your mouth? Bad breath accumulates because the majority of these elements end up on the surface inside of your oral cavity. All of this causes your mouth to become extremely dry and contributes to gum infections. And we all know how bad infections smell. The worst thing about this type of bad breath is that it sticks. Chewing a gum or sucking on a breath mint does not wash the bad breath. Two of the main chemical components of cigarettes are tar and nicotine. Both of them are awfully sticky! As such, they find their away around to the surface of the teeth and cause what is known as “stained teeth”. After several years of smoking, this discoloration can easily become permanent. If this post does not make you brush and floss, I don’t know what will. Have a look at the best oral irrigators and take action today.